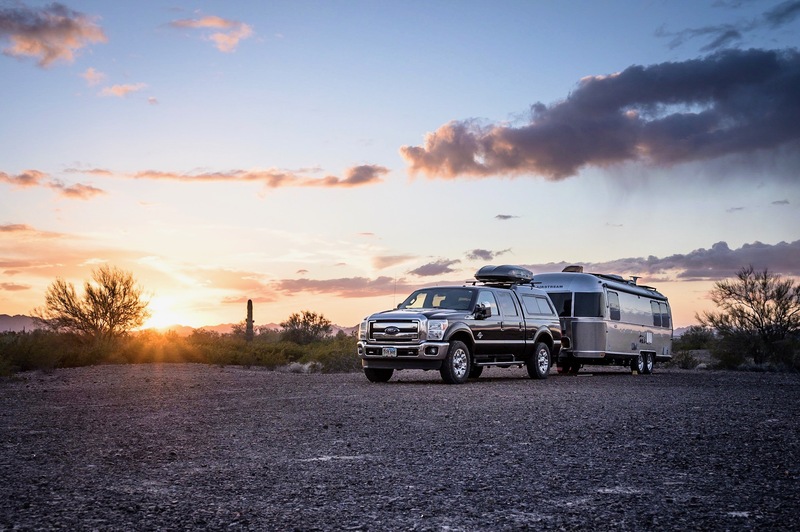 Full-timing since April 2015 … Dave, Kelly, and our dog living and traveling full-time in our Airstream trailer. With Kelly traveling this week on business, I’ve been holding down the fort solo. Well, not exactly solo … the camp host and his wife are nearby. But essentially, I’ve had only Lilly dog here keeping me company. That is, until today when follow Airstreamer owners @gm3sf (center) and @vwilleford (left) arrived to join me for a couple days. Both are headed onwards to Portland, and like me, are traveling solo at the moment. And so it is, three dudes, three rigs, and three otherwise differing lifestyles converge temporarily in a simple and off the beaten path county park campground in southwestern Oregon. HOW DID YOU STAND THE CROWD?
. Eight inches later, as Northern Arizona’s “snowmageddon” continues to drop heavy white flakes, the dehumidifier and space heater have been running nonstop, keeping our little home warm and toasty. Yes there are nomadic-related miracles to be had, courtesy of the Cottonwood public library. Travel day lunch break at Miller Park. Nearly 14yrs young, Lilly is still excited to play with her toys, she just needs a nap afterwards.